My whole philosophy of Barbie was that through the doll, the little girl could be anything she wanted to be. Barbie always represented the fact that a woman has choices. Convincing her husband Elliott, co-founder of the Mattel toy company, that Barbie would fill a niche took some time, that is until Ruth came across a similar doll. During a trip to Germany, Ruth saw Bild Lilli, a doll with an adult-proportioned body that was about 11.5 inches tall. Ruth thought this doll was just right for her concept, so she brought Bild Lilli to Mattel and Barbie was born. Like her progenitor, Barbie is usually 11.5 inches tall and has been this size since her inception. There have been variants on the Barbie theme, including Supersize Barbie dolls which are the size of a small child. More recent iterations of Barbie have been altered to have a larger waist size since critics raised concerns that girls might aspire toward Barbie's unrealistic measurements. The Ken doll, Barbie's sometimes boyfriend, is usually 12 inches tall, and Skipper (Barbie’s little sister) is a little shorter, at about 10 inches. 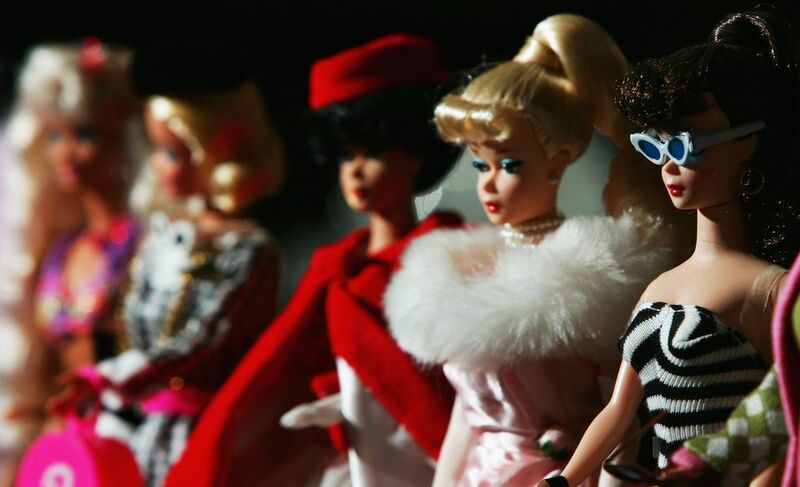 Collectors break Barbie dolls into several eras. Vintage Barbie is from 1959 to 1972 (with Mod era dolls released from about 1966 through 1972). All other Barbie dolls are considered Modern Barbie. The collectible Barbie era started in 1986, marking a period when Barbie dolls were produced for adult collectors, rather than just as playthings. This era peaked in the late 1990s and continues today. Modern dolls made for the play market are sometimes referred to as “pink box” Barbie dolls. The most common vintage item in mint condition is the Barbie vinyl cases. Because Barbie was a mass market doll, vintage pieces in played-with condition are worth much less than new or mint-condition pieces. Some modern Barbie dolls still sell at or below their original retail prices, but there are some that are highly sought-after: the first Happy Holidays Barbie, many of the original Bob Mackie series, and the first Harley Davidson Barbie. According to Mattel, the best-selling and most-collected Barbie doll of the modern era is the Totally Hair Barbie from 1992. As with vintage varieties, collectible modern Barbie dolls are expected to be NRFB (never removed from box) and only bring a fraction of their original value if they are not. Her creator envisioned Barbie as a role model for young girls, but Barbie was not always the most diverse line of toys. There have been several additions to the Barbie universe in recent years, however. While there was a black doll in the Barbie world named Christie since the 1960s, an African-American Barbie was not introduced until 1980. That was the same year Hispanic Barbie was launched. Share a Smile Becky, a wheelchair-bound Barbie doll was introduced in limited production in 1996.